Chile fires 'started intentionally' Jump to media player Some of the wildfires affecting Chile may have been started intentionally, the government says, as hundreds of firefighters continue to tackle some 20 blazes. 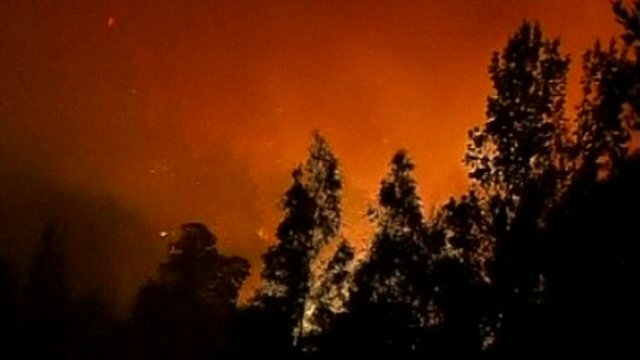 Thousands flee deadly Chile fire Jump to media player At least 12 people die in forest fire sparked over the weekend in the hills around the Chilean city of Valparaiso. Firefighters perish in Chile fires Jump to media player At least six firefighters have died battling a blaze in a mountain forest in southern Chile, the authorities say. 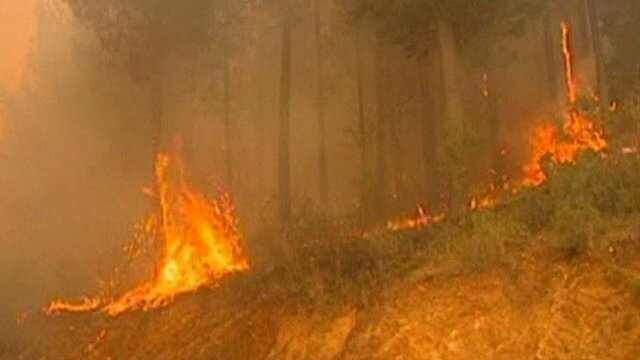 Chile has requested international help to deal with forest fires. They broke out over a week ago and spread quickly in the dry and hot summer weather.